Tallow is to beef what lard is to pork. At Ranch Foods Direct, it is rendered in a heated vat: as the fat melts, it separates from the solids and is drained off, to be used for cooking, soap-making and more. Traditionally, French fries were cooked in beef tallow. But starting in the 1980s, fast food companies began substituting something new: hydrogenated vegetable oils. Unfortunately, cheap vegetable oil is highly processed: it is refined, bleached and deodorized in addition to being made shelf-stable through harmful hydrogenation that produces unhealthy trans fats. It is also totally devoid of any nutrients. In contrast, tallow is full of fat-soluble vitamins, including Vitamin K2, which is instrumental in building bones and teeth. Many people also believe tallow gives fries a richer, more satisfying flavor. 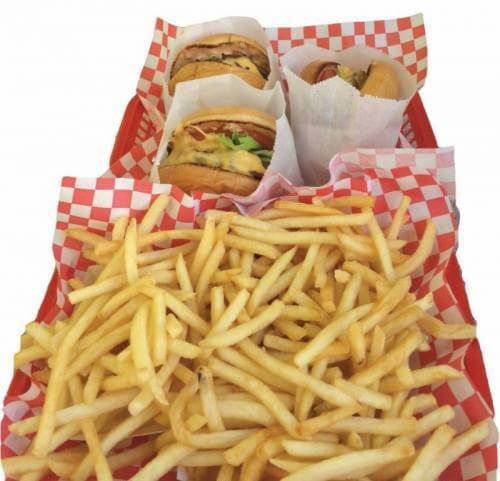 The fries at local favorite Drifters Hamburgers (shown above) are made with beef tallow from Ranch Foods Direct. (You can find Drifters at two locations in the Springs: 4455 Mark Dabling Blvd and 1485 Jamboree Dr near the Chapel Hills Mall.) Other Ranch Foods Direct customer-restaurants are also considering making the switch. After being demonized for decades, animal fats and red meats are gaining renewed respect from food writers, researchers and public health officials.